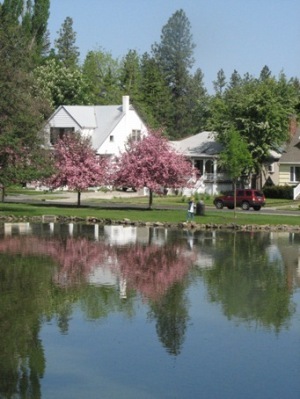 The book, “Manito Park: A Reflection of Spokane’s Past” was written by Tony and Suzanne Schaeffer Bamonte. It was published in 1998 by Tornado Creek Publications of Spokane. The book is now out of print, but still available from collectors or at the library in your neighborhood. Give it a read – it is 128 pages of very interesting facts about one of Spokane’s most beautiful and favorite parks. Tornado Creek Publications has published many books about the Northwest areas and you can see all of their releases at the link below. Click on the “Tornado Creek Publications” link just below.